We’ve known for a while now that what we eat can be good (or bad) for our bodies, and also for things like memory and a few other brain functions, but up until fairly recently, modern science hadn’t really connected what we eat to how we think and feel. 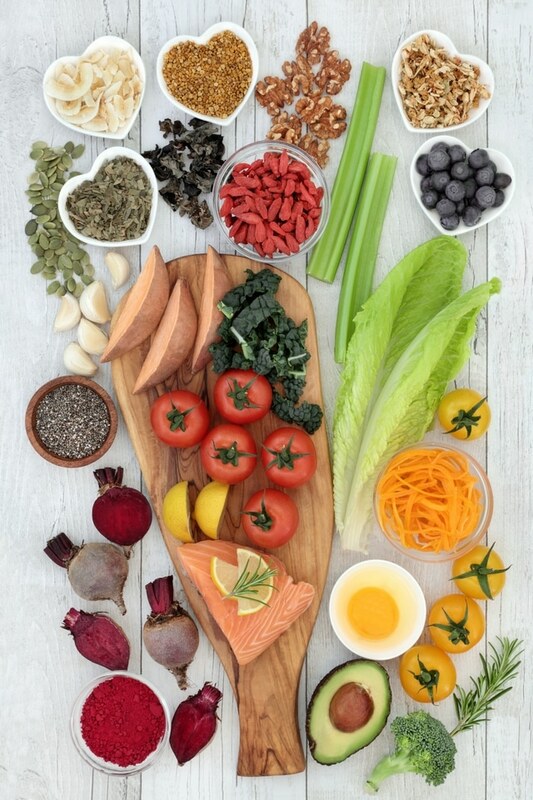 The connection between food and mood is one of the latest science that I am passionate about and one of my top 3 favourite subjects when I went to nutrition school. 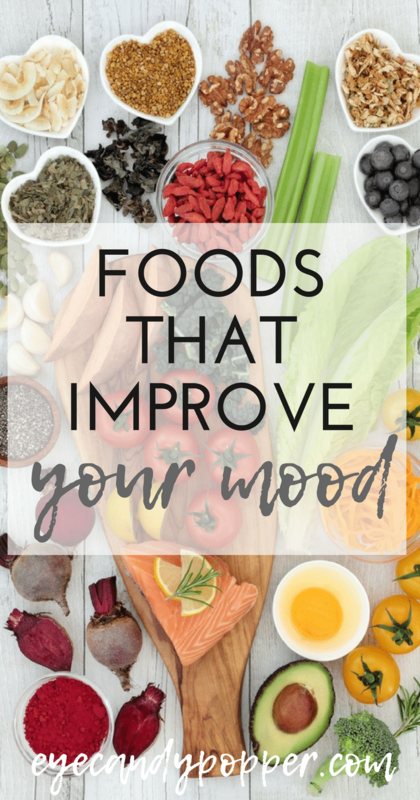 The Foods That Improve Your Moods should be an essential part of your regular diet. Karen is excited to join the Eyecandypopper team and I am thrilled as well. She will be contributing her knowledge and expertise to this site regularly from now on. Welcome on the team Karen! by Karen Carter RHN, B.A., M.Cl.Sc. I can still clearly hear my Mom saying “You are what you eat” in an entirely unimpressed tone when she caught me mixing icing sugar with water to have as my after school ‘snack’ as a child. It’s a phrase I’ve heard a million times but I’ve only recently stopped to think about what it really implies. I mean, we’re not really made of the food we eat…. are we? Unfortunately for those of us who (occasionally?) binge on foods that are not so healthy, research shows that the nutrients we ingest are the building blocks of our cells. In other words, what we put in our bodies literally does become a part of us, including at the most fundamental, cellular level. More recent studies have provided proof that our food not only affects our physical makeup, but has a significant influence over our mood. I wish I could say I found evidence that cinnamon buns for breakfast is the key to our own personal bliss, however, the truth is, the quality of the foods we eat largely contribute to the function of our brain and its neurotransmitters, which ultimately determine whether we are happy, sad, irritable or anxious. Serotonin – Helps keep our mood upbeat. It’s made from tryptophan, an amino acid found in spirulina, beans and legumes, eggs, fish, chicken, meat, and dairy. Dopamine – Associated with pleasure and reward. It’s made from tyrosine, an amino acid found in proteins such as almonds, avocados, and dairy. If you need an excuse to eat avocado, why not make a Healthy Avocado Chocolate Mousse Desert out of it? Noradrenaline – Stimulating and often used in instances of ‘fight or flight’ (when we’re under stress). It’s derived from dopamine, which is ultimately derived from tyrosine, described above. GABA – Makes us feel calm and relaxed. It’s made from glutamine, an amino acid found in legumes, brown rice and spinach. Try this 30 Min Pulao Rice that combines brown rice and chickpeas. Research shows that when we eat food that is high in sugar or is highly refined, we are damaging the brain’s ability to function properly and produce the neurotransmitters that make us feel good. Several studies have shown a link between higher rates of anxiety and depression in people who have low-quality, nutrient-depleted diets. Other studies have shown that people with mood disorders may be helped by improving the quality of food being consumed. With this new knowledge, can we all go back and talk to our younger, less informed selves (even ourselves from a few hours ago) and shake some sense into them? I, for one, wish I had never discovered deep fried cheese curds (on a trip to Wisconsin a few years back) and chocolate dipped key-lime pie on-a-stick (yes, they do exist). Not only are these indulgences still with me, as the average rate of cellular turnover is seven years, but they also likely put me in a low vibe, food-comma-like state after eating them. It’s a reminder that what we put in our bodies has a huge impact on how we feel and that our nutritional intake influences both our physical and emotional health. SO, what are the essentials to creating a good mood through the food we eat? Vitamin B6 has long been associated with regulating brain and neurotransmitter functions and maintaining optimal mood. Sources: legumes, cabbage, green leafy vegetables, whole grains. Vitamin B12 helps in the maintenance of the nervous system and can cause fatigue and depression when we are deficient. Sources: eggs, cheese, fish, meat. 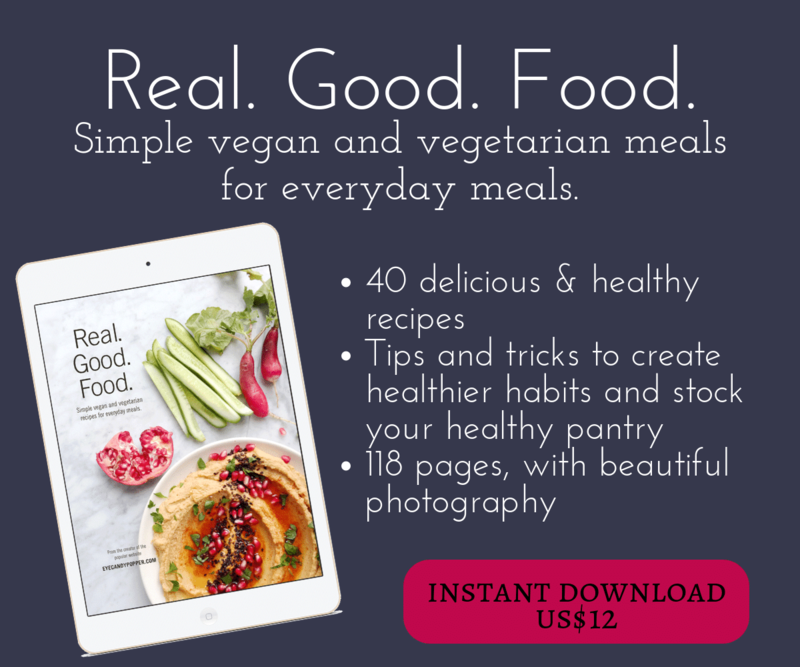 You may need supplementation if vegan, however some found in sprouted grains and miso. If you eat meat, check out this simple 30 Min Sausage Pasta Toss. Vitamin D helps with calcium absorption and contributes to bone and brain structure maintenance. Low levels have also been associated with depression. Sources: sunlight and UVB-exposed mushrooms, eggs, and wild salmon. Check out this delicious recipe for Balsamic Mushroom Toast. Magnesium is involved with neurological functions and is largely involved in the production of serotonin. Sources: fresh vegetables, nuts (especially almonds and cashews). How to make cashew milk? Click here to find out! Zinc is vital for the production of cells and maintaining a healthy immune system. Depletion has been linked to higher levels of depression. Sources: pumpkin seeds, sunflower seeds, mushrooms, seafood, and meat. Make some candied pumpkin seeds to add to your salad! Iron contributes to our energy levels along with the oxygenation of cells. A deficiency is linked to low energy and depression. Sources: beans, nuts, dark leafy greens and dried fruit, red meat, and fish. 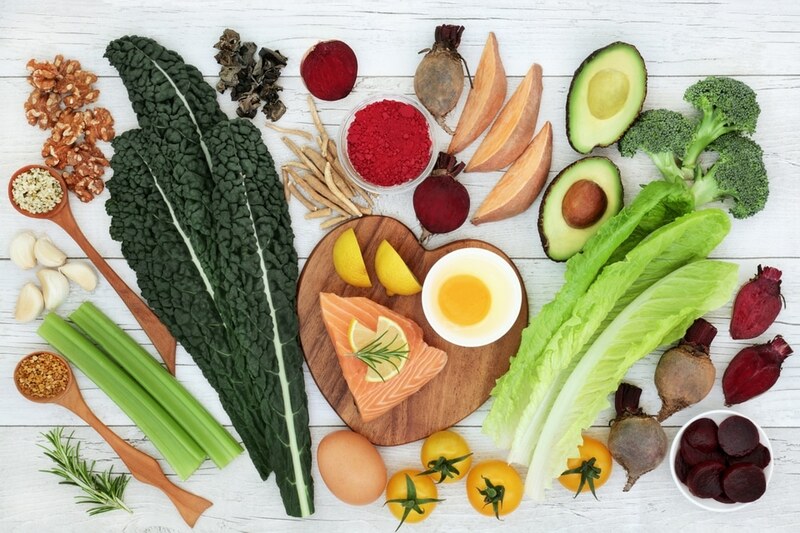 The good bacteria found in our gut helps to reduce inflammation, improve nutrient absorption and feed the pathway that connects the gut and the brain. A deficiency has been linked to increased anxiety and stress levels in the body. Sources: fermented foods such as sauerkraut, kefir, tempeh and kombucha. Omega 3s have an important role in the maintenance of the structure and function of the brain. Nearly a fifth of a brain’s weight can be accounted for by Omega 3s. A deficiency is linked to depression, fatigue and mood swings. Sources: ground flax seeds, chia seeds, walnuts, and oily fish. Start by paying attention to how certain foods make you feel a few minutes, hours or even a day after eating them. Do you feel energized and satisfied after you eat or do you feel nauseous, overstuffed and bloated? When you first wake up, do you feel alert and ready to start the day or do you feel sluggish and depressed? What we eat becomes a part of us and has an affect not only on our physical body but on our brain function and mood. Of course sometimes it’s worth the consequences and knowing that we can make healthier versions of our favourite treats is essential for a balanced lifestyle, but being conscious of our choices and working towards giving our body, brain and mood the best materials to work with, is a giant leap in the right direction. I appreciate the links in the article to ECP recipes which address the remedies suggested. This is going to be a great collaboration ! Hi Gabby, I love this post so informative. I truly believe we are what we eat and my body is very sensitive to anything over processed. I am definately going back to make some notes but I think Nicoletta and I are on the right track. Thank you for sharing your findings and links! Have a wonderful weekend and let’s all eat to live better! This is such a great article and a reminder that how we eat not only affects how we feel physically but mentally too. I also appreciated the food and recipe suggestions. I’ll definitely be sharing this article with others! Hi! I love this post, it’s so informative. Like Hippocrate said « be that food your medecine »! I love your blog , the pictures are geat! Good job! Such a great post, I’ve become more and more interested in how foods affect our mood. It’s truly fascinating. Absolutely! Thankfully it’s becoming more mainstream now and research is proving that what we eat is really important. The connection between mental health and food was one of my favourite subjects in nutrition school. It’s an important knowledge to pass along. Thanks for stoping by! Very interesting article! 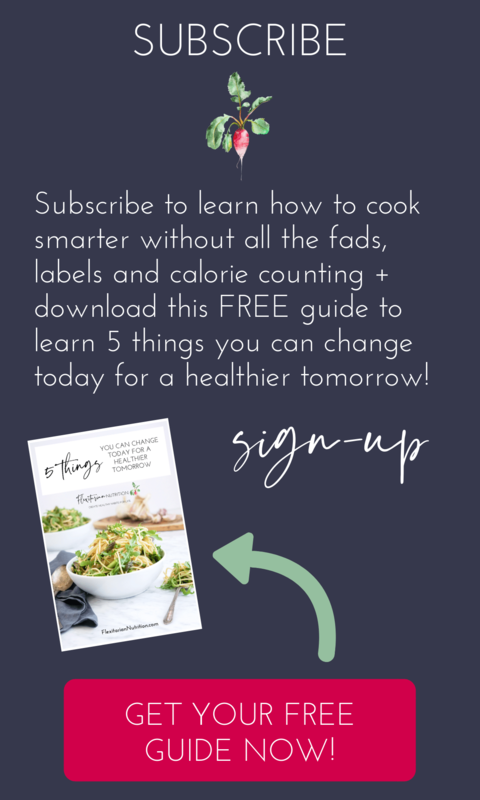 As a Chef, I was never really that interested in nutrition, but now that I have started up my blog Earth, Food, and Fire, and I’m doing a lot more research into the recipes, how food is prepared, and traditional recipes, I am finding the topic much more appealing. While I knew that vitamins, good bacteria, and even zinc and magnesium are good for you, i never really knew exactly what role they play and what they affect. I’ll be using this as a reference from now on whenever I need to prove, why certain foods are ‘better ‘ for you then others! Wonderful! It’s so good to see more and more chefs learning about nutrition as well! Glad you found it helpful.